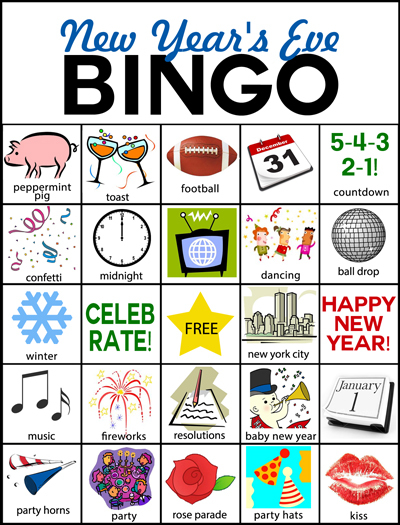 CLICK HERE to download a pdf file with 6 different BINGO cards! Love this printable. Do you mind if I share a pick and link with my readers as idea for this year for New Year's? That would be fine, Kathy! I love this Bingo, but is there a caller sheet that goes with it? Sadie, I usually use one of the cards and mark them off as I go OR you can print one extra card and cut up the squares to make calling cards. Great cards thanks... Is there a list of words to call out? Definitely going to use this tomorrow to ring in 2017! Thank you! Great cards. Is there another link to download the call pictures?